Geostrat Ltd. is a pioneer in securing and slope stabilization along roads, civil and industrial infrastructure. 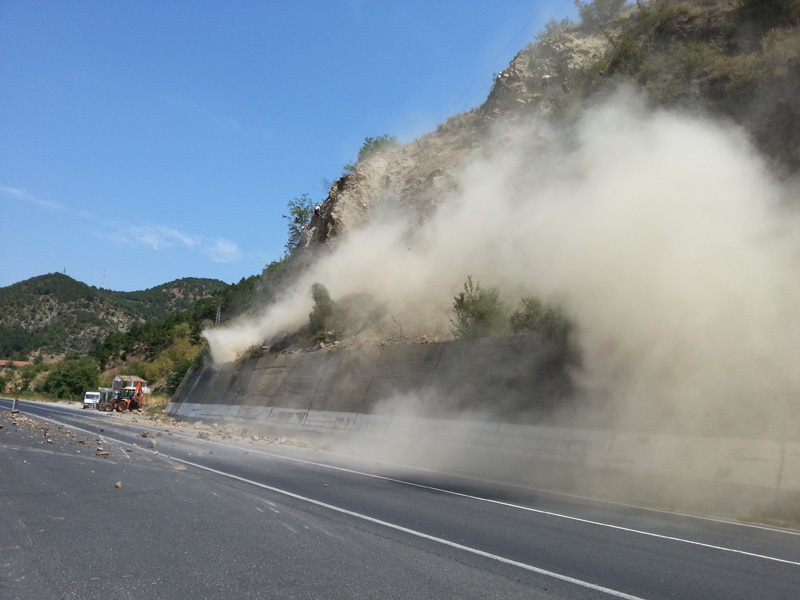 Geostrat Ltd. is a pioneer on the Bulgarian market with the introduction of modern technologies for securing and slope stabilization along roads, civil and industrial infrastructure. The company was the first in Bulgaria to perform drilling anchors of the types IBO and GEWI at high and hard to reach places using "rope access". Over the years the company has implemented a number of projects and has gained experience and expertise in various activities to strengthen rocks - Surface cleaning, Netting, Anchoring, Installation of barrier trap anchors, Slope stabilization, Working at large heights. The company owns the necessary specialized machinery for safe execution of activities with high quality. Our team consists of professionals with high motivation to pursue higher professional goals. Professional development and innovation are part of the company policy. Geostrat Ltd. has proved to be a loyal and reliable partner to our clients. - Netting a "curtain". In this method of operation, the net is fixed by anchors at the top and drops freely to the ground. The net prevents chaotic and free falling stones. - Netting type "net with anchors" - the net is fixed to the slope with anchors on the whole area, and the horizontal and vertical raster is between 2-3 meters. In this way 100% safety can be guaranteed, because the stones are pressed to the slope and free fall is prevented.